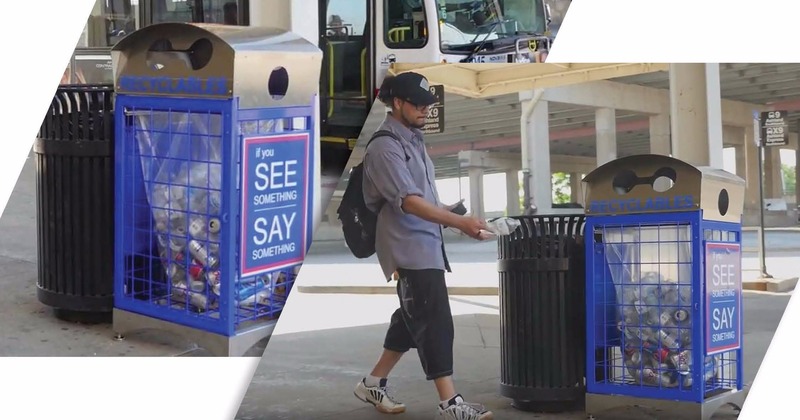 WeatherMax™ is at home in public buildings,parks, stadiums, streetscapes, parking lots and everywhere recycling is a necessity. Sponsorship: Optional WeatherMax 15" x 20" signs are sold in pairs. Adding a pair of sponsorship signs creates 4.2 ft² of display space. Protective Materials: 100% stainless steel top, base, rivets and hinges for maximum protection from the elements.Remaining parts are zinc-plated and coated with a UV rust-inhibiting finish. Sliding drawer bag lock secures bag to the frame. The WeatherMax™uses 36" x 40" bags. »». 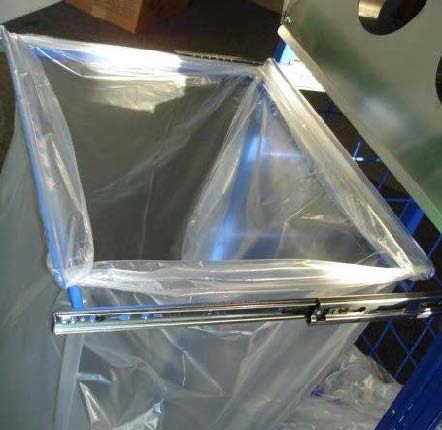 Clear see-through panels eliminate confusion with a trash receptacle. »». Stainless steel hooded dome top protects the contents from precipitation. »» Accessible from all four sides. Barbell design accommodates collection of all recyclables - including paper. »» WeatherMax permanent graphics are applied using a durable ink transfer process to prevent fading or peeling. »» The WeatherMax is lockable. »» Wire grids and doors are powder coated blue; custom colors are available. »» Weld nut levelers can be removed for permanent mounting. »» Recycled content of the WeatherMax exceeds 50%.